We have reviewed, rated and compared Bryant air conditioners so you can buy with confidence. These AC’s are not for suitable for everyone so check to see if they fit your needs! When looking for an air conditioner, everybody wants an efficient, sleek, quiet, and cheap unit. The prices of air conditioners are at an all-time high, and so is their demand. This is mostly due to rising temperatures and the increasingly efficient HVAC (heating, ventilating and air conditioning) units being manufactured. Much like any machine, air conditioners need to be reliable and not break down under pressure. When looking for a central air conditioner that is reliable, efficient and silent, Bryant is one brand that is usually recommended. This is because of its promise to give extremely reliable units along with a complimenting warranty period. Bryant air conditioners have been in the market for quite a while now, being one of the most experienced HVAC manufacturers out there, with a particular focus on their products’ reliability. It has high SEER, features sleek designs, and with three different series and 17 different air conditioner units, Bryant seeks to be the optimum choice for everyone. 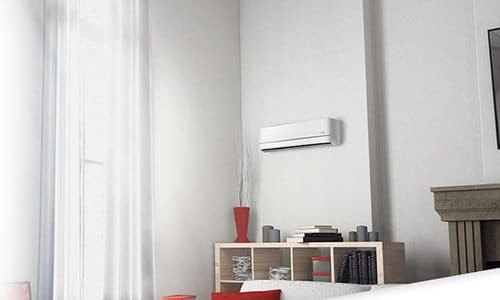 In our Bryant air conditioner review, we will dive deeper into the different AC units and relevant series Bryant has to offer in order to figure out whether it is the best choice for your needs or not. Bryant is used by 4.5% of all construction firms in the US, an excellent depiction of how sturdy these units are. If you live in an extremely hot area, you should consider buying its premium unit, the Bryant 189BNV because of its efficiency. However, even if you spend a little less, it doesn’t mean that you will get a unit that is not durable. You might have to compromise only on the SEER or perhaps its noise level. If, however, you live in an area where the heat isn’t as intense, there is no need to go for the premium unit. A cheaper unit will work wonders for you, and you won’t have to worry about having to change your unit anytime soon. Keep in mind, though, even for the price of this cheaper unit, you might get more efficient air conditioners from its competitors, but none of them can compare to Bryant air conditioners’ durability and reliability. Saving up on purchase and running costs is the prime factor that most people consider when looking to buy a good air conditioner. Although Bryan air conditioners are somewhat expensive to buy, the initial cost more than makes up for the low running cost of these units , especially Bryant’s Evolution series. Bryant AC units have an average 16.2 SEER , which is the 8th best average in the market. This low figure is because of the Preferred and Legacy series and their low 13 and 14 SEER units. These units aren’t as efficient, but have allowed Bryant to make affordable air conditioners. As mentioned, Bryant AC units have always focused on premium build quality and silent operations, and with such a large variety of products, Bryant surely has one that suits all your needs, perfectly. The following table compares the cost of purchasing, installing, and running each of Bryant’s air conditioners. Prices are estimates for the following: 2.5-ton condenser, 1300-1400 cfm air handler plus a programmable thermostat. The average SEER rating of Bryant ACs means that it has a wide range of AC’s available for all users, whether they live in a hot area where you have to focus on efficiency, or an area where summers don’t last very long. Bryant claims the high initial and installation cost of its units are indicative of the quality work that goes into making each unit. Unfortunately, the high cost is exactly why most people look to other options when considering an air conditioner, since spending less initially is much more appealing than saving more in the long term, taking away Bryant AC units’ competitive edge. The cost of each unit also depends on its tonnage, which in turn depends on how large a room or house you are looking to cool. Following is a table that shows which size AC is best for your room or home. Bryant air conditioners are available from 1.5 tons all the way up to 5 tons to meet all your needs, regardless of the size of your house/room. Bryant’s premium series is the Evolution® Series, featuring high SEERs and Evolution® Connex® control, allowing you to control your unit from anywhere. These units have sleek designs with bodies made of durable metal, and lined with sound absorbing rubber and thermosetting plastic, to ensure quiet and smooth operations. With a SEER of up to 21 and sounds as low as 66 decibels, the 180B is the pride of Bryant as the most efficient unit, while the 189BNV hold the title as the most sold unit due to its good 19 SEER efficiency and sound as low as 56 decibels! Customers who have bought these units haven’t complained much except for the price and have found them up to the mark. Bryant air conditioners with a SEER over 16 are also eligible for government tax rebates of up to USD 300 upon purchase, thus resulting in somewhat of a relief for otherwise wallet-heavy units. Bryant AC units, once purchased and installed, have very little to no complaints. This is because of good build quality and premium customer service. However, people often have complaints regarding the unit’s installation, such as exposed wires, air vents facing the other directions, and many others. Installing an expensive piece of equipment such as your thousand dollar Bryant air conditioner is no easy task and includes minute details that must be kept in check to ensure a proper installation. Loose wires or bad connections can reduce the life of your air conditioning unit from 15 years all the way to a maximum of 5 years! You need a quality HVAC contractor to help you keep those 15 years of life (or even more! ), and the best place to look for one is Modernize.com. There are numerous HVAC contractors on the website that can install your Bryant air conditioner for you quickly and properly, according to your state’s code. Modernize sorts contractors according to their ratings and the level of trust people put in them. Frequent verifications mean that you won’t have to worry about having to ‘vet’ the contractor before hiring them, but simply compare your needs to what they offer and hire them. Hiring contractors is simply a click away with the Modernize form below! Bryant air conditioners have long names that are a mouthful, to say the least. For example, one air conditioning unit is named as the “Evolution® Variable-Speed Air Conditioner,” indicating that the system uses Evolution technology and is a variable-speed AC. However, when you want to claim your warranty or get any other type of support you need to be aware of your Bryant air conditioner’s model number. The air conditioner mentioned above is conveniently modeled “189BNV”. All three Bryant series are special in their own way, focusing on high SEER, silence, affordability, compact designs, good build quality, and reliability. Following is a table that can give more perspective on each unit’s distinctions. SEER is the first thing that HVAC manufacturers and dealers flaunt when selling air conditioner units, and for a good reason. Customers also keep SEER or EER in mind when looking to buy a unit, but what is it? We have sprinkled the abbreviation quite extensively throughout our Bryant AC review, so let us dive into what SEER is, what its relation is to energy efficiency, and why it’s important. In 2008, the Air Conditioning, Heating, and Refrigeration Institute introduced SEER or Seasonal Energy Efficiency Ratio as a measure of the ratio of how much energy is consumed against the unit’s BTUs (British Thermal Units) consumed when running. In other words, it is a measure of how efficient and air conditioner, heater, or refrigerator is. Apart from SEER, EER ratings are used as well. The eliminated S (Seasonal) signified that the efficiency is not measured only during the cooling season but throughout the whole year at varying temperatures. Remember, the higher you unit’s SEER or EER rating is, the more energy efficient that AC unit is. Several Bryant air conditioners have been Energy Star rated and are thus efficient and easy on the wallet when running, however, the same is not true for all its units. There are several Bryant AC units that are below SEER 13 and might not even be allowed to be installed in some states! Furthermore, customers should keep in mind that there are a few HVAC brands, including Trane, Lennox, LG, and Mitsubishi, that offer more efficient air conditioners compared to Bryant. However, they fall short when it comes to the good quality and sturdy build of Bryant’s units. Most HVAC manufacturers give out warranties for replacement of parts and compressors separately. This alone is enough to signify how important your unit’s compressor is. An air conditioner has multiple parts working together to cool hot air and blow it out into your house, and none of these parts can be stated as unimportant when it comes to the proper functioning of the air conditioner. The compressor is one such component, perhaps the most critical component of all, known as the ‘heart’ of your air conditioning systems. Bryant air conditioners use Puron (R-410a) as the refrigerant gas in its coils to cool down the hot air. Puron needs to be compressed in order to get cold and hot when negative pressure is applied. A compressor is responsible for this and moving the gas throughout your unit’s coils. Air conditioners that contain single stage compressors only run at full speed when cooling the air intake. Once the house cools down, the intake air is no longer hot. The sensor within the compressor turns it off, and when the intake gets hot again, the compressor turns at high speed. These high-speed compressors are efficient in the sense that they can cool your house pretty quickly, but the constant switching on and off consumes more energy due to inertia and results in higher electric bills. Though slower to cool the room, two-stage compressors are much more efficient as they can run on high and low speeds. These are also known as variable speed compressors. The compressor cools the room down, running at high speeds. Once the desired temperature is achieved, it slows down to sustain the room’s temperature. The slow speed means inertia is maintained and, therefore, conserves energy. Bryant AC compressors are available with both single and two-stage compressors. Condenser fan motors are also of two types that fit with a similar compressor type – single and double speed. Condenser fans are the big fans you see in the outdoor unit of your air conditioner. These fans are responsible for keeping the compressor cool when it is running, hence the need for two types. Single stage compressors require single speed condenser fans, while two-stage compressors require double speed. Bryants’ 126CNA, 126B, 124ANS, 123A, 106A, 116B, 105A, 114CNC, 114C, & 113A all feature single speed fans while the 189BNV, 180B, 180C, 187BNC, 187B, & 127A feature double speed condenser fans. Bryant’s air conditioners can also heat your house in the winters instead of impersonating a useless box because of their compressors’ ability to act as heat pumps. For heating, compressors put negative pressure on the Puron refrigerant to make it hot. When cold air passes through coils with hot Puron in them, they effectively turn your air conditioner into a heater. Bryant air conditioners perform well when it comes to quietness. Thanks to their sleek designs and insulated bodies, Bryant AC units don’t conduct sound outside its body. This insulation is achieved with the help of materials such as rubber, thermosetting plastic, or other noise absorbents that insulate the vibrating sounds to make them run at a measly 55 decibels. The 189BNV is Bryant’s quietest model and can go as low as 38 decibels under optimum conditions! That said, there are a number of competitors, including Haier, that can beat Bryant’s level of quietness and go as low as 25 decibels during normal operation, and even lower under optimum conditions. Although sufficient on its own, the warranty is another aspect where Bryant AC units lack compared to competitors. Warranty is a major selling point for many HVAC manufacturers such as Goodman, Lennox, Trane, etc., and perhaps the prime reason why these manufacturers have a greater market share compared to Bryant. To make their units seem more attractive, these manufacturers offer from 10 years minimum, all the way to lifetime warranties, to their customers on parts and optional few years of labor warranties as well. Bryant air conditioners are well known for their excellent customer support, friendly support staff, and experienced technicians. However, this is also the aspect mostly complained about. Bryant air conditioners are sold to any wholesaler which results in people with low installation expertise entering the market. When these companies install air conditioners, it results in immediate problems and thus, unsatisfied customers. They offer default, limited warranties for air conditioner & heat pump condensing units with Puron® (R-410A) refrigerant. This includes only 5 years of limited warranty on replacement of parts and the compressor unless registered within 90 days of purchase. The warranty period then extends up to 10 years for both. Bryant offers warranties to not only its new users but also a 5-year warranty to subsequent owners, subject to certain conditions. Extended Warranties can also be purchased, which cover not only the cost of parts for a longer period, but also the labor. Extended warranties differ from supplier to supplier. However, you can hire trusted technicians through modernize.com, which makes it more than easy to find screened, cost-effective, and trusted HVAC contractors close to you. Some governments offer tax rebates if you buy air conditioners of SEER 16 or above, or EER 13 or above. While those below SEER 13 aren’t considered to be up to the minimum efficiency par in some states and thus can’t be installed. This tax rebate is for buying high-efficiency equipment, such as high SEER air conditioners, efficient heaters, ventilators, etc., incentivizing users to buy more efficient air conditioners to save on their utility bills and taxes. Bryant Corporation is a brand of HVAC units, under United Technologies Corporation, and was founded in 1915. It is headquartered in Charlotte, North Carolina, and is responsible for revolutionizing the air conditioning industry by introducing modern cooling techniques. However, every AC brand has its pros and cons features, and Bryant is no exception. Customers often steer away from Bryant AC units for a number of reasons. Following are some pros and cons of Bryant air conditioners hold. Wholesaled to external HVAC installers without checks, allowing inferior installers to enter the market. This is perhaps Bryant’s biggest drawback. People often conduct extensive online research before buying something and try to learn what others have to say to get a clearer picture of what they’re going to get. While we have tried our best to give you a clear picture, here are some reviews by people who purchased Bryant AC units. had a rough month. I had to purchase 2 furnaces and an air conditioning unit within 1 months time. Bryant Heating and Cooling were so professional , providing outstanding service on my rental property. When the furnace at the residence I live in failed 3 weeks later, I didn’t hesitate to call Bryant Heating and Cooling again. Just as expected, they gave superb service. I would recommend Bryant Heating and Cooling. Great Staff, Great Service – Review Buzz. 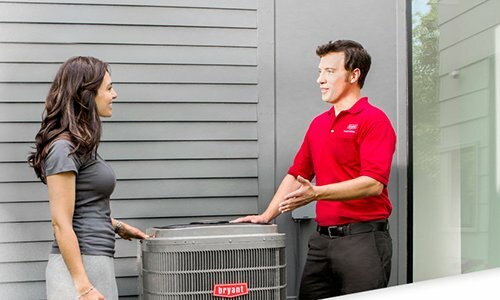 After having a poor experience with Comfort heating and air (poor time management, unfriendly staff, lack of follow up when running hours behind), I contacted Bryant. They were able to send a technician out half an hour after I requested service (WOW!). This may not be typical, but I was pretty stoked. The technician (Matt Jones) was professional, knowledgeable, and sincere. I felt comfortable with him in my home and appreciated that he was forthcoming about my HVAC issues and my options. Happy customer! Thank you, Bryant! – Laura M, Lexington. Yelp. Customers are often satisfied with Bryant’s reliability and good customer service. The fact that their teams always reach the customer on time to find a solution to the problem is what pleases the customers most. However, customers complain when the installers are third-party contractors who don’t have proper training for AC installation. Bryant is an excellent choice for you, if spending some extra money isn’t a problem against durable and reliable units. There are also options for you if you are looking to spend a little less money. However, these air conditioning units might not be as efficient as the top-tier ones. Bryant prides itself in its most popular product, the Bryant 189BNV. It is silent, efficient and sleek. However, the fact that this model is extremely expensive puts off the majority of customers. Its warranties (if registered) stand out against many available brands, however, as mentioned above, Lennox, Goodman, and other renowned HVAC manufacturers can give you much better warranties. Installation of your air conditioner is critical for optimum operations, and for that, you need a trusted and experienced HVAC installer. You can find such installers at modernize.com at any time and without any hassle from your part. All you have to do is answer the questions and take your pick!